Offering high-security badge printing in an easy-to-use package, Entrust Datacard SD460 card printer with laminator produces full color one or two-sided ID cards. 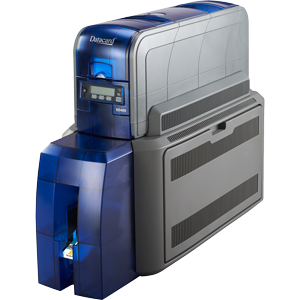 With fast print speed speeds, Ethernet connectivity, and a standard 100 card hopper, Entrust Datacard SD460 is built for high-volume card printing. Entrust Datacard SD460 also offers a first-of-its-kind Tactile Impression module* (optional extra) that stamps a high-security impression directly onto your cards, making them highly tamper-resistant.